The naturally textured surface and 45% cotton content give it a classic, luxurious feel. whilst the combination of 35 sophisticated and fashionable colours make it the ideal choice for artists and crafters alike. 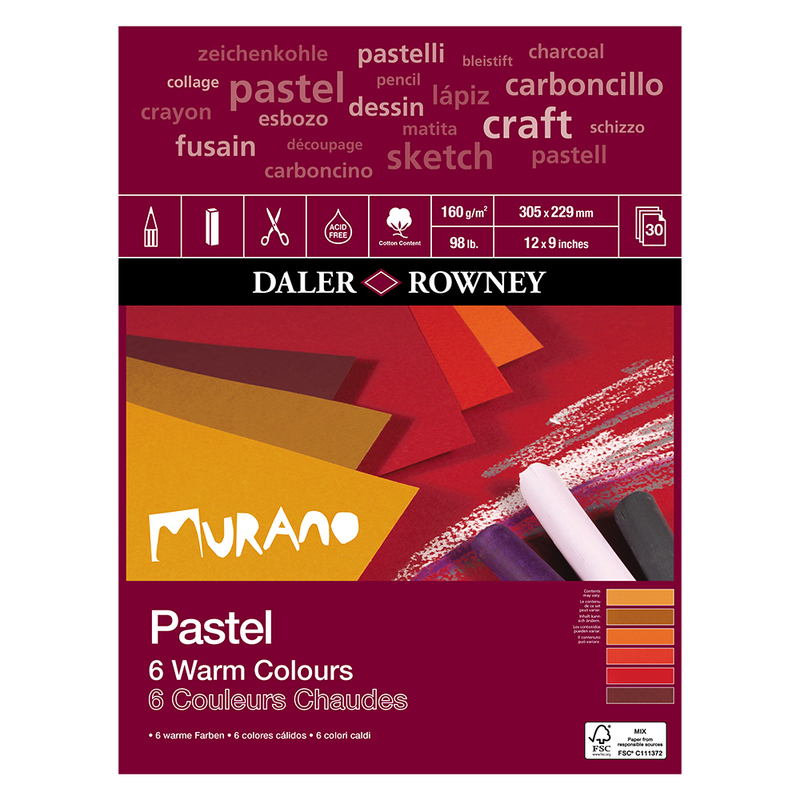 Weighing in at a substantial 160gsm, Murano is perfect for fine art applications such as pastel, pencil or charcoal, and creations such as card-making, memory book...or anything that takes your imagination. 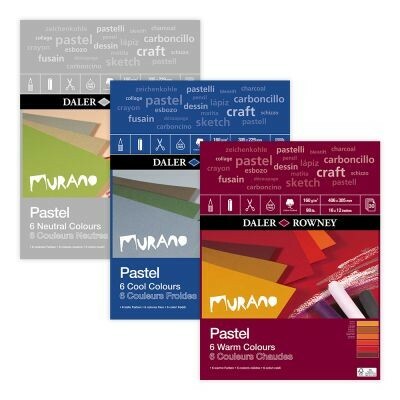 These gummed pads of Ingres type paper are available in range of three pads each containing 30 sheets. 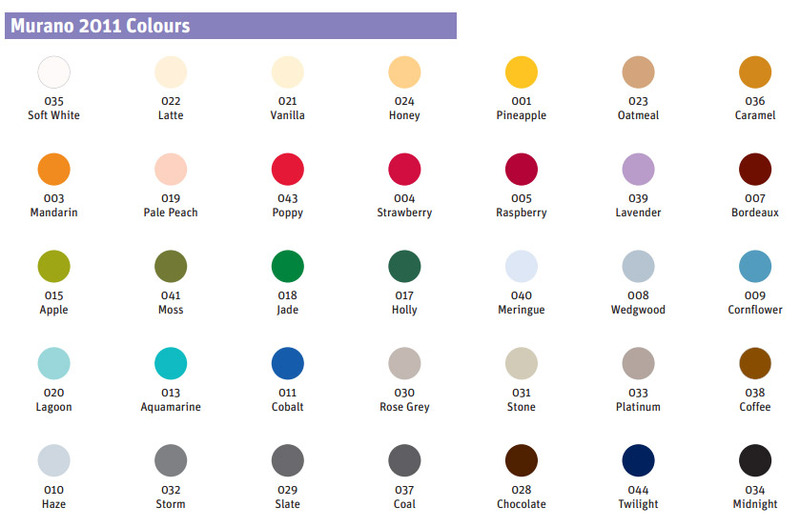 6 cool shades, 6 neutral shades or 6 warm shades, with 5 sheets of each shade. 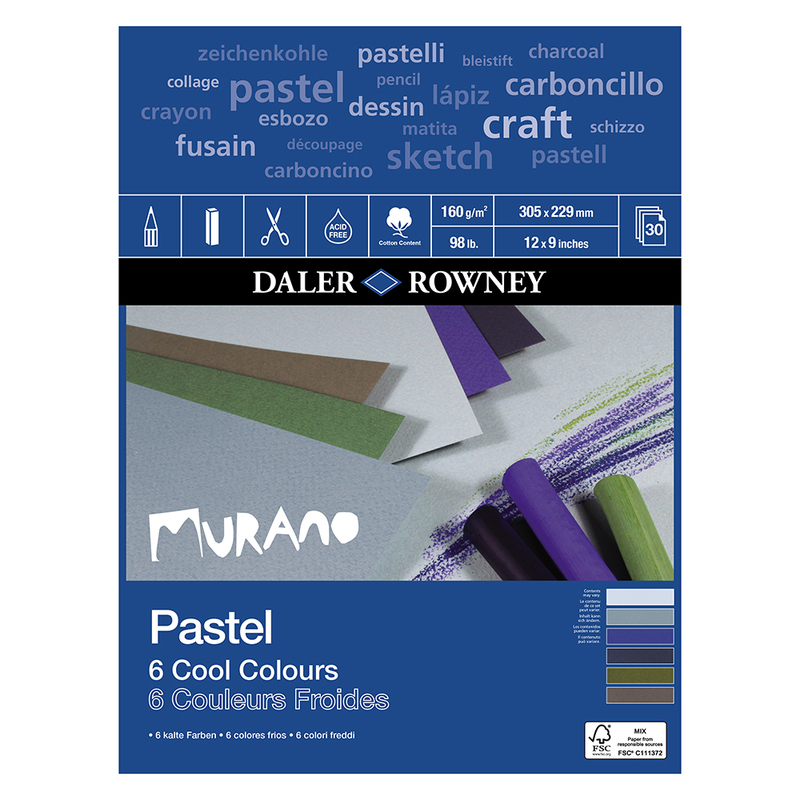 Good quality paper, but didn't think the colours were cool. 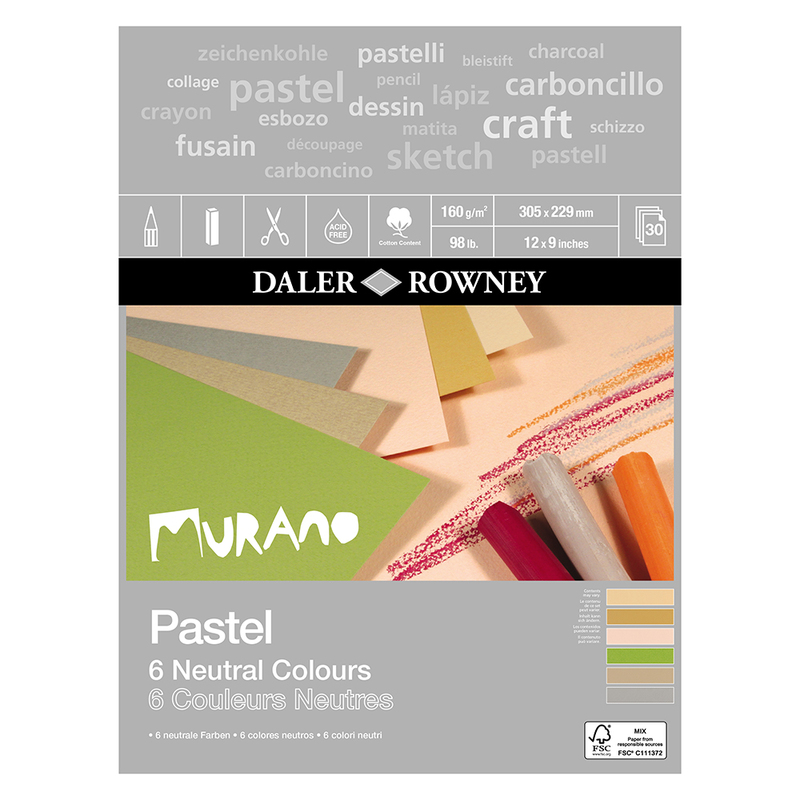 - Daler Rowney Murano Pastel Paper Pad Cool 16" x 12"
Good range of colours - Daler Rowney Murano Pastel Pad Neutral 9" x 12"